Recognized throughout the industry as the number one leading brand within the market, including its sells and size, Blu has become a dominating force from a slew of high quality vapor products. 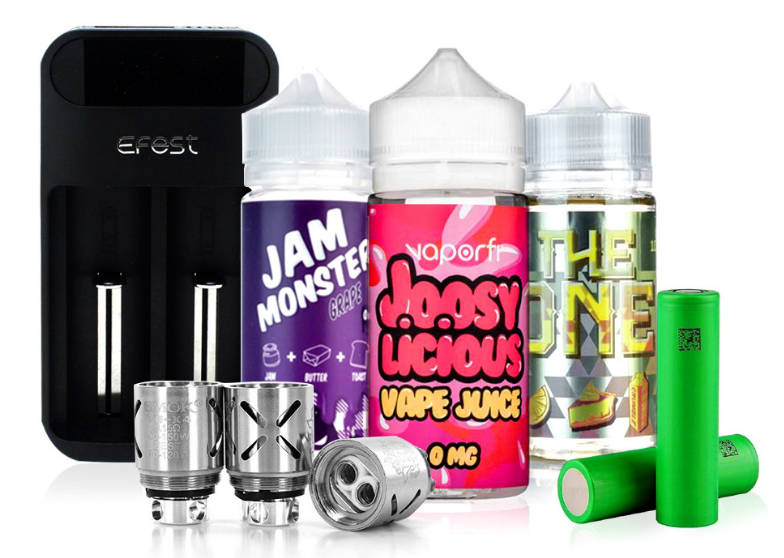 While it may offer a variety of products, its latest lineup of e-liquids specifically formulated with nicotine salts, has most certainly created a successful stir throughout the vaping community. The Salt of the Earth line is a collection of nicotine salt e-liquid flavors crafted ideally for those who prefer portable, pod-based devices and deliciously blended flavors. One of its most popular flavors in its giant arsenal is Just Menthol, which is a 30ML bottle of menthol perfected. With this flavor you’ll be able to enjoy the wholesome coolness of menthol, bringing along with it its consistently smooth, clean, and refreshing taste, while a slight hint of sweetness is left lingering on your tastebuds. Obviously not for everybody, this icy flavor is especially made for the minty purists, delivering nothing but the taste of Just Menthol! Try it now in 24MG and 48MG nicotine levels! Totally a fine mild every day vape flavor. But it's pretty weak. I was hoping for more menthol. More kick. It tastes like those crap ecigs you buy over the counter, which I should have expected since it's made by Blu, but I was hoping for something more premium. I didn't hate it, but I probably won't buy this again. I want a stronger menthol flavor. This is more like it. Not overly sweet, not overly scented with anything other than a touch of menthol just like the name describes. I wanted something I could sneak around and hit at work and not draw attention to myself. I like this product and will be buying more in the future.